Thousands of people, mainly Dalits, Tuesday flocked the 'Jay Stambh' memorial in Maharashtra's Pune district to pay tributes on the 201st anniversary of the Koregaon Bhima battle amidst heavy police presence. One person was killed and several others were injured in caste clashes that broke out on January 1 last year on the occasion of the anniversary of the 1818 battle, which has attained legendary stature in Dalit history. At least 5,000 police personnel, 1200 Home Guard jawans, 12 companies of the State Reserve Police Force (SRPF) and 2,000 Dalit volunteers are deployed in and around Perne village where people are paying tributes at the war memorial, police said. 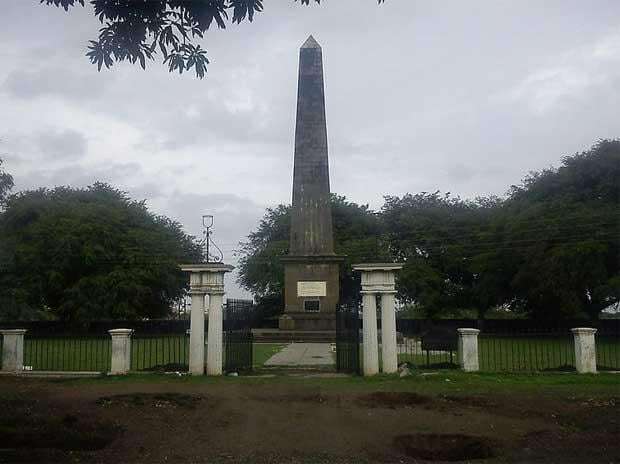 The 'jay stambh' was erected by the British as a memorial for soldiers killed in the Koregaon Bhima battle on January 1, 1818. "Internet services in and around Perne village have been suspended," special Inspector General of Police Vishwas Nangre-Patil said. Bharipa Bahujan Mahasangh leader Prakash Ambedkar, the grandson of Dalit icon B R Ambedkar, was among the first politicians to offer his tribute at the Jay Stambh this morning. Unfortunately, the same students who "bridged the gap between the Marathas and the OBCs using the Elgaar Parishad platform were labelled as Naxals by the government, he said. "These students took real history of Koregon Bhima to the masses, but the government labelled them Naxals," he said, adding the government should find real perpetrators of last year's violence and bring them to justice. Police are probing the alleged Maoist links in the January 1 violence, which they suspect was triggered by provocative speeches made at the Elgar Parishad conclave in Pune on December 31, 2017. In the wake of the clashes, police had booked Hindutva leaders Milind Ekbote and Sambhaji Bhide on charges of inciting violence.